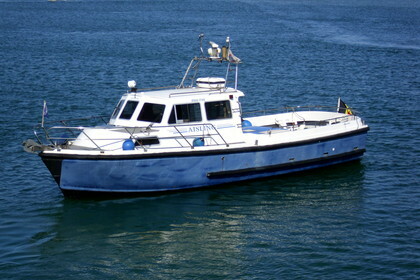 PRICE DROP: MS Aisling is from the first owner having it custom built in 1995 in Carrigaline, IRL. The smaller cabin yields more space in the vessel which makes the ship ideal for fishing trips or other leisure and working activities. The solid construction, two Perkings M215 Commercial engines, double fendering, automatic and manual bilge pumping ensures safe sailing. The boat is equipped with all necessary and up to date guiding instruments to support smooth sailing and safety. If you are interested in this boat feel free to contact me.